The card sharks of New Zealand usually come to the Sky City casino in Auckland and they all have their eyes set on the prize pool that is generated in this poker tournament, it is the best and biggest in the country. The cost fee for entering the Main Event at the Festival of Poker is $1,650. The organizers are expecting a high turnout, about 150 players approximately who will come up from different parts of Asia and Australia. The total prize pool is expected to reach a value of $300,000. Sky City will surely be alive and buzzing with many players who would be looking to participate in the event. 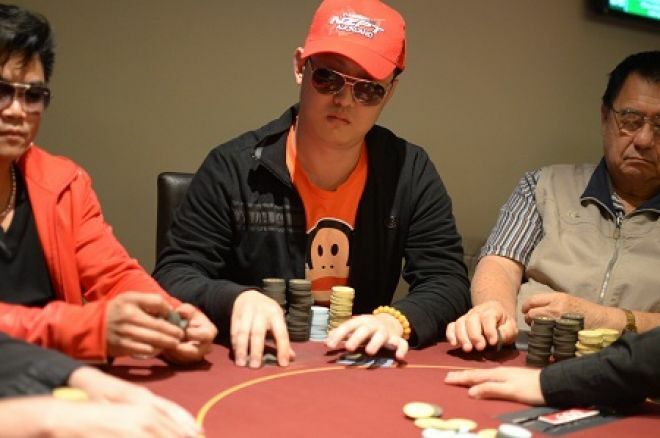 The FOP event sees many celebrated players take part such as Simon Watt as well as Danny Brotha D Leaosavaii or Geoff Smith, who would be taking home small amounts of the fortune by the end of the event. Radha Vellanki is the games manager at the Skycity Auckland and she is looking forward to making all necessary arrangements for the tournament and hosting players who would come by from different countries. She states that the atmosphere is electric and it would surely showcase some of the best poker games that are played across New Zealand. The last event had seen five games being won by Kiwi players and that surely encourages many local players to register for competing in these events. The FOP event is currently underway. This entry was posted on Sunday, April 9th, 2017 at 5:55 am	and is filed under Poker. You can follow any comments to this entry through the RSS 2.0 feed. Both comments and pings are currently closed.